There is not a more beautiful time in the Georgia mountains than in the Spring. With rhododendrons blooming and wildlife on the move, it is a rebirth of nature in many ways. 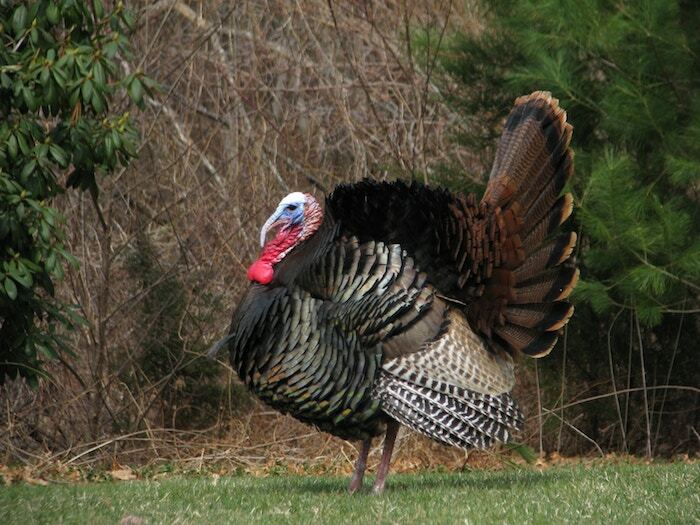 Particularly in Helen GA, the sound of a wild turkey gobble can be heard resounding deep within the mountain draws. This sends chills up my spine as I remember the countless days of making soft clucks and purrs on my slate turkey call to draw a big bird off of the roost. The magic of turkey hunting is in the interaction between the hunter's call and the gobbler's answer! 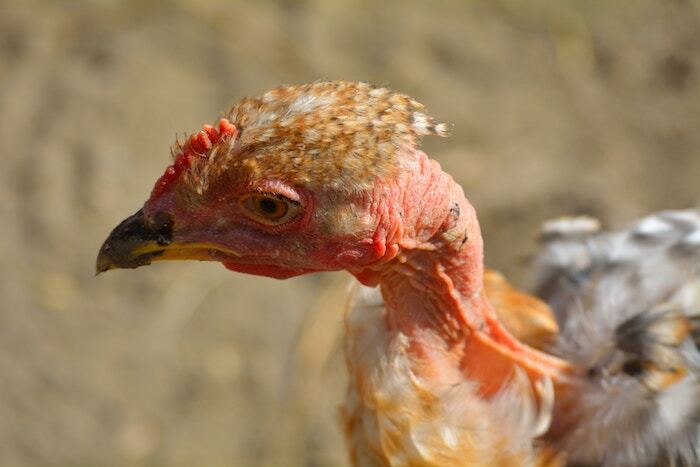 Developing a keen ear for what a hen turkey sounds like and the sounds that she makes for particular situations is the real advantage and is a must when trying to bring a wily old gobbler into close range. This back and forth courtship is usually defined within the natural world as the hen chasing down the tom. The hen calls to the tom, and once he answers with a thundering gobble, then she will head in his direction. As the caller/hunter we are reversing this relationship and trying to coax the gobbler into shooting range without moving a muscle. It has been said that a turkey is able to see the hunter bat an eye at 100 yards away. Their vision and hearing are incredibly fine-tuned. Believe me, I have tried to sneak up on multiple turkeys that are strutting in a field only to have them fly the coop and leave me behind sulking with frustration. The best bet is to see them long before they see you and wait camouflaged and still as a bobcat until they cross your path. There is nothing like sending out a light tree call to a gobbler in the early morning and seeing him fly down with a cackle right into strutting mode. This sends my heart pounding and makes my body shake with excitement. There are many different types of calls used including box, diaphragm, slate, and even a turkey wing bone that the Indians used to develop. My personal preference is to use a box call when trying to locate a bird from a long distance. Using a series of drawn-out yelps works great to get a bird to answer. When working a gobbler that can view the decoy I usually entice them with a few soft purrs and clucks created by drawing the wooden striker against the slate in a rhythmic motion. I have been shocked how few times I need to call to actually bring a turkey in. Most times the bird is right on top of you before you even know it. On many occasions, I have over called and hear the gobbles from the turkey become fainter as he drifts more in-depth into the hardwoods. If the situation becomes really up close and personal, I switch directly from the slate to the mouth call or diaphragm. This allows me to have my shotgun mounted on my knee, hands-free, and still deliver yelps that continue to excite the bird into the decoy. Having to cover difficult terrain and climb steep ridges gives an even more intense adrenaline rush when hunting turkeys in the mountains. Helen Georgia not only offers a beautiful setting to track down the wily birds, but it is an incredible backdrop for a strutting tom on a Spring morning. Mid to late March is opening season for hunting turkeys in Georgia. I know of many people who have done their scouting and have chosen a high ridge top where they know a flock of turkeys has roosted. The greatest challenge will be if they are able to make the early morning climb and arrive within close proximity to the turkeys without spooking them. This is only half of the battle. Next comes the calling! 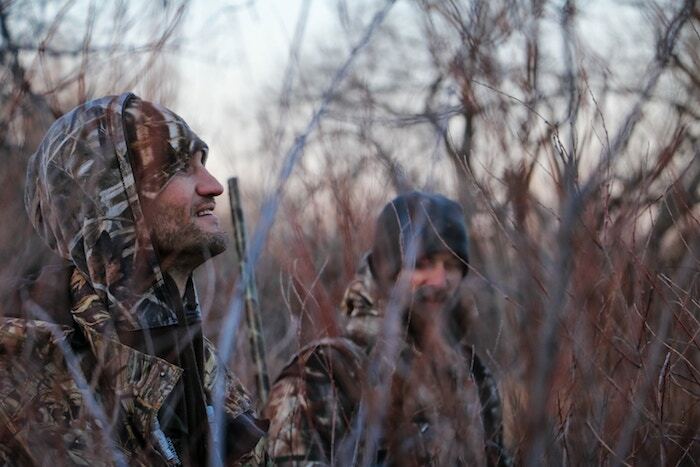 Being flexible is very important when calling turkeys and knowing the terrain you are hunting is just as pivotal. This is especially true at higher elevations, and a hunter must utilize the draws and ridges within the land to get close to a keen old turkey. The calls should demand attention from a gobbler that has many hens after him. This is where a great box call comes into play with six to seven short and abrupt strokes to create the sound of a hen cutting with excitement. But, when the turkey is call-shy, then a few clucks and purrs are essential to getting his attention. Once you know the bird is headed your way, then stop your calls. This can prove fatal as he will not be able to handle the silence and will show up looking for the hen. Remember, that smart old gobbler will put your skills to the test and give you the feedback you are looking for. We'd love to Hear Your Comments Below on This Blog Post or About Your Turkey Hunt In Helen!